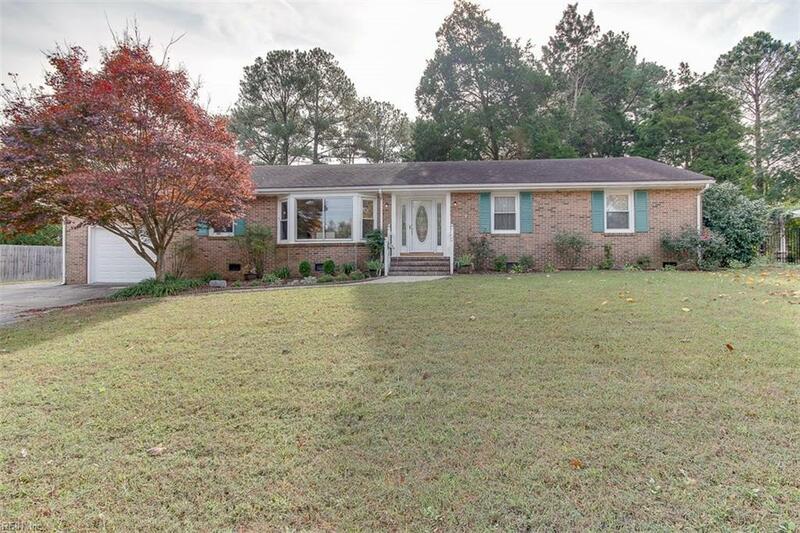 This beautifully maintained brick ranch sits up high on a large privacy fenced wooded lot in established neighborhood. Floor plan features formal living room, dining room and kitchen that opens to family room with built-in shelves and masonry fireplace with new stone surround and gas logs. Real hardwood flooring throughout other than ceramic tile in bathrooms. Spacious master bedroom has walk-in closet and remodeled bath with ceramic tile. Unheated sunroom (not included in square footage) leads to nice wrap around deck with natural gas line for grill. Parking is abundant with 405 square feet attached garage and an 18' x 25' detached garage plus oversized driveway with side pad. Detached garage with 10' x 10' overhead door and car lift is a mechanics dream come true. Will not last long at this price...Call today for a tour!